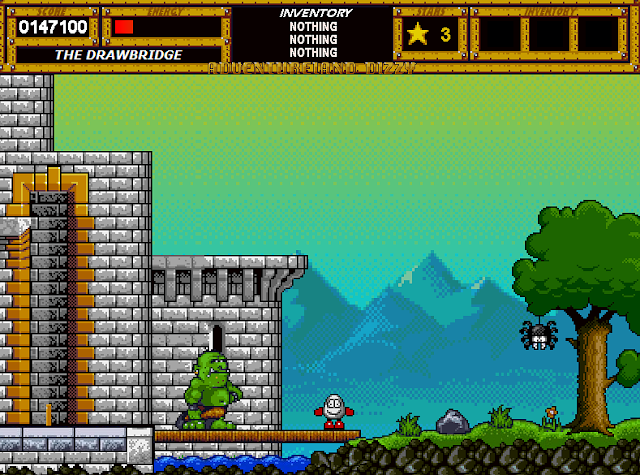 Indie Retro News: Adventureland Dizzy - Behold gamers, a BIG Dizzy game has appeared! Adventureland Dizzy - Behold gamers, a BIG Dizzy game has appeared! Although I had gone off Dizzy for a bit due to some issues with us and the Wonderland Dizzy announcement, basically no feedback from The Oliver Twins. I was overjoyed to hear from JDC Studios of a brand new Dizzy fan game, that has only just been released. 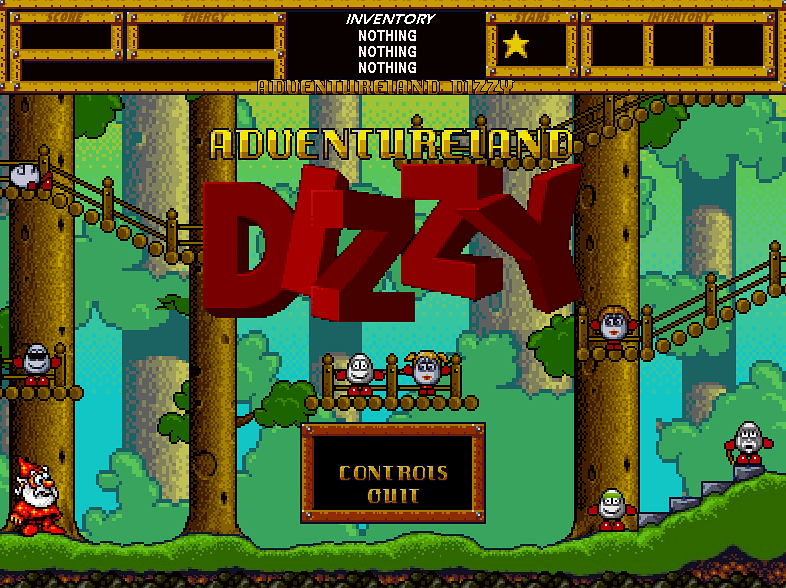 From the creator of Dizzy in the Dungeons and Dizzy Quest, comes a rather large dizzy game called ' Adventureland Dizzy ' which has 110 Screens to explore, puzzles to solve , 30 golden stars to find and graphics taken from classics such as Magicland Dizzy, Fantastic Dizzy and Spellbound Dizzy. Although I haven't played this game very much as my brain is overloaded by the amount of retro seen today, I really do feel that Dizzy gamers will feel right at home with ' Adventureland Dizzy '. It has the charm of the originals, the game play and challenges such as finding items, using them and talking to the Yolkfolk, and it has a lovely soundtrack which is played throughout. The only downside that will put a lot of people off, is having only one life. As when my energy run out, I had to start all over again, something Treasure Island Dizzy players will remember very clearly.